2. Tuesday, April 23, 2019; 7-8:30 pm PDT (9-10:30 pm CDT, 10-11:30 pm EDT): We welcome back Jeffrey Smith to discuss his recent booster series articles on The Space Review. 3. Wednesday, April 24, 2019: Hotel Mars. See Upcoming Show Menu and the website newsletter for details. Hotel Mars is pre-recorded by John Batchelor. It is archived on The Space Show site after John posts it on his website. 5. Sunday, April 28, 2019; 12 pm PDT (3:00 pm EDT, 2:00 pm CDT): We welcome back Michael Ciancone to discuss his spaceflight bibliography, the important 2018 IAC in Bremen, IAC 2019 in Washington, DC, and the Orion Service Module program with ESA. ** Tue, 04/16/2019 – David Livingston led a discussion among listeners about “the 2024 lunar timetable, FH [Falcon Heavy] barge recovery, Griffith Observatory public interest”. ** Sun, 04/14/2019 – Jay Wittner talked about “Integrated Space Plan, human spaceflight development now and into the future, [and] why The Space Plan and human spaceflight is essential”. ** The Space Show – Tue, 04/16/2019 – David Livingston led a discussion among listeners about “the 2024 lunar timetable, FH [Falcon Heavy] barge recovery, Griffith Observatory public interest”. Mission Success yesterday for Indiana’s NearSpace Launch Inc. (NSL) ThinSat constellations launched off the Antares NG-11 on route to International Space Station. The 60 ThinSat were developed for Virginia Space as a STEM program for middle and high schools. Over 400 students participated in the testing and delivering of experiments in orbit today. The school teams were overseen by Twiggs Space Labs. ThinSat is a new pioneering model for satellites that are scalable, simpler, and more affordable. Their focus is to broaden access to space for educational and space research participants. The ThinSat comes in an array of sizes that comply with the CubeSat launcher. The 11.2 cm by 11.7 cm by 2 cm ThinSat version was the first model to launch this week. The ThinSat team choose to use EyeStar radios and Alta Devices solar technology. The NSL’s EyeStar radios allow for 24/7 connectivity via Globalstar’s constellation. Alta Devices solar cells provide a unique modular, lightweight, flexible form factor with high efficiency characteristics. The ThinSat components were developed by NearSpace Launch Inc. (NSL) of Upland, IN. 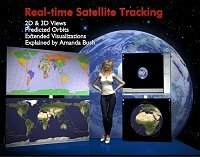 Scalable models of ThinSats from 3U to 27U in size. led by Kyushu Institute of Technology in Japan and involves students from Sri Lanka, Bhutan, Nepal and Japan. The goal is for the participating countries to create indigenous space programs “by designing, building, testing, launching and operating, [their] first satellite(s)”. The 3 satellites – Uguisu, NepaliSat-1, and Raavana-1 (Sri Lanka) – are expected to be deployed from the Japanese Experiment Module (JEM) “Kibo” in May or June. EntrySat – Students at ISAE-SUPAERO institute in France built this CubeSat to study space debris reentry. SASSI2 – “a CubeSat designed, built, and tested by undergraduate students at the University of Illinois and Purdue University”. Aeternitas, Cetes and Liberta: Three CubeSats sponsored by the Virginia CubeSat Constellation (VCC) program and built by undergraduates at the University of Virginia, Old Dominion University, Virginia Tech and Hampton University. SpooQy 1 – National University of Singapore project to demonstrate quantum entanglement technologies on a CubeSat. KRAKSat – “a project focused on sending scientific satellite into space, made by students of University of Science and Technology and Jagiellonian University. Not only it is one of the first Cubesat type satellites in Poland but also the first satellite in the world which uses magnetic liquid, called ferrofluid, for orientation control”. CubeSats prove their worth for scientific missions | EurekAlert! The Urban Astronomer hosts the Carnival of Space #607. And the Everyday Spacer hosts the Carnival of Space #608. Earlier today, SpaceX conducted a series of engine tests on a Crew Dragon test vehicle on our test stand at Landing Zone 1 in Cape Canaveral, Florida. The initial tests completed successfully but the final test resulted in an anomaly on the test stand. Ensuring that our systems meet rigorous safety standards and detecting anomalies like this prior to flight are the main reasons why we test. Our teams are investigating and working closely with our NASA partners. ** Space Access 2019 has been underway in Silicon Valley since Thursday. Check out notes on the many space transport presentations and panels at #SpaceAccess19 hashtag on Twitter. Brian Wang has also posted notes and images of slides at NextBigFuture.com from several of the talks. ** Chinese Long March 3B launches a Beidou navigation satellite today: Beidou-3G2Q navigation satellite launched on Long March 3B – NASASpaceFlight.com. “The next time it flies, we expect to have the full commercial cabin installed,” he said. A few other modifications to the vehicle are also in progress, such as changes to cockpit displays. Ok, Blue Origin was granted frequencies by the FCC today for another *New Shepard launch, this one designated mission 12. The time range given is June 1 to Dec. 1. The most recent New Shepard test flight was on January 23rd. That test flight is following the pattern of previous ones in being declared successful and then followed by a gap of a few months before the next flight, usually with no explanation for what modifications or upgrades they are making during in the interim. Blue Origin officials have indicated that passenger flights could start this year but that several more test flights were required. See video also at Flight of LinkSpace vertical-takeoff-and-landing rocket – Weibo.com. United Launch Alliance is finalizing production of the Atlas V rockets that will launch the first two crewed flights of Boeing’s CST-100 Starliner to the International Space Station, known as the Crew Flight Test (CFT) and Post Certification Mission-1 (PCM-1). At our factory in Decatur, Alabama, skilled technicians are putting the finishing touches on the CFT hardware before shipment to the Cape Canaveral launch site, and also working on the assembly and testing of the PCM-1 rocket. These launches will be the second and third flights of the Starliner program. The first flight, the Orbital Flight Test (OFT), will be an uncrewed checkout mission to the International Space Station scheduled for August 2019. All Atlas V hardware for OFT is in Cape Canaveral and will soon begin processing for the first flight. ** A bottom portion of Falcon Heavy core booster was salvaged after it fell during rough seas: SpaceX Falcon Heavy booster tips over on drone ship, returns to port in pieces – Teslarati. The #SpaceXFleet slipped in to @PortCanaveral @ 2am. NASA will host a media teleconference at 11 a.m. Monday, April 22, to discuss select science investigations the Dragon will deliver to the astronauts living and working aboard the orbiting laboratory. NASA will stream audio from the discussion at http://www.nasa.gov/live. **** The DoD sponsored STP-2 Falcon Heavy mission involves the launch of nearly 2 dozen satellites and multiple firings of the upper stage: SpaceX’s Falcon Heavy flies a complex mission for the Air Force in launch video – Teslarati. SpaceX has posted a webpage dedicated to the mission: STP-2 Mission | SpaceX. The STP-2 mission will be among the most challenging launches in SpaceX history with four separate upper-stage engine burns, three separate deployment orbits, a final propulsive passivation maneuver and a total mission duration of over six hours. In addition, the U.S. Air Force plans to reuse side boosters from the Arabsat-6A Falcon Heavy launch, recovered after a return to launch site landing, making it the first reused Falcon Heavy ever flown. a microsat developed by students at the Georgia Institute of Technology in Atlanta through the Air Force’s University Nanosat Program to demonstrate satellite close proximity operations and rendezvous. **** Two Falcon boosters spotted on way to Florida: SpaceX ships two Falcon boosters to Florida for a busy spring of launches – Teslarati. >> The Starhopper’s Raptor engine was removed after a short test hop was made a couple of weeks ago. Presumably the three engines needed for lifting the vehicle up a few hundred meters are being prepared for installation. >> Meanwhile, observers have watched work on the Starhopper structure and the facilities around it. In an absolutely serious tweet Elon musk suggested that dragon wings might enhance the capabilities of his stainless steel starship concept. Thanks to the power of commercial spacecraft simulation software we are able to test this concept and prove that it was more than just a joke. A leader in rocket engineering and a man passionate about space travel, Bob Truax cannot go unmentioned in the history of the space shuttle. Described as an “individual who is committed to his ideals, goals and objectives,” the 2006 film documents his life and achievements. “The American Rocketeer” is a 2010 Jet Propulsion Laboratory production about JPL’s origins. Much of the focus is on Frank Malina, an aeronautical engineer and protégé of physicist Theodore von Kármán. NASA says Christina Koch will spend 328 days in space | Ars Technica – Not mentioned here but delays in commercial flights to the ISS lead indirectly to an extended stay by Koch. Houston, do we have a problem? President Trump announced the establishment of Space Force in February. Skeptics have asked, what could we possibly need a space military for when we haven’t found aliens to fight and what’s the difference between NASA and Space Force?. Guest experts, Victoria Samson and Krystal Wilson, discuss space security, space technology’s beneficial values, and the plans behind President Trump’s Space Force. Is a U.S. Space Force an inevitable step to protecting satellites and commercial space activities, or just an expensive exercise in shuffling Pentagon bureaucracies? Military and aerospace expert Anthony Colangelo joins Heaton to sort things out. ** The Space Show – Sun, 04/14/2019 – Jay Wittner talked about “Integrated Space Plan, human spaceflight development now and into the future, [and] why The Space Plan and human spaceflight is essential”. During their time on the International Space Station many astronauts have the opportunity to participate in spacewalks, also known as Extravehicular Activities (EVA). These spacewalks play a critical role in keeping the station functional as it travels approximately 17,500 miles per hour 250 miles above the Earth’s surface. In this episode, Expedition 55/56 Flight Engineer Ricky Arnold talks about the critical parts of the spacesuit that keep astronauts safe as they perform maintenance in the harsh environment surrounding the space station. Visit https://nasa.gov/stemonstation for more educational resources that explore the research and technology of the International Space Station. “Space for U.S.” highlights some of the many ways that NASA’s Earth observations help people strengthen communities across the United States and make informed decisions about public health, disaster response and recovery, and environmental protection. For six decades, NASA has used the vantage point of space to better understand our home planet and improve lives. By highlighting advanced technology from a global perspective, our data helps provide people achieve groundbreaking insights. “Space for U.S.” features 56 stories illustrating how our science has made an impact in every state in the nation as well as the District of Columbia, Puerto Rico and regions along the Atlantic, Pacific, Gulf of Mexico, and the Great Lakes. NASA freely and openly provides its Earth-observing data to those seeking answers to important global issues. The Applied Sciences Program in NASA’s Earth Science Division funds projects that enable innovative uses of NASA Earth science data, resulting in informed decision making to strengthen America’s economy and improve the quality of life worldwide. It only takes 10 Spotpower (SP) to haul a truck across the Boston Dynamics parking lot (~1 degree uphill, truck in neutral). These Spot robots are coming off the production line now and will be available for a range of applications soon. Handle is a mobile manipulation robot designed for logistics. Handle autonomously performs mixed SKU pallet building and depalletizing after initialization and localizing against the pallets. The on-board vision system on Handle tracks the marked pallets for navigation and finds individual boxes for grasping and placing. When Handle places a boxes onto a pallet, it uses force control to nestle each box up against its neighbors. The boxes used in the video weigh about 5 Kg (11 lbs), but the robot is designed to handle boxes up to (15 Kg) (33 lb). This version of Handle works with pallets that are 1.2 m deep and 1.7 m tall (48 inches deep and 68 inches tall). Using a combination of vision sensors and deep learning software, Pick works with commercial robotic arms to palletize and depalletize boxes. Pick enables logistics, retail, and manufacturing companies to achieve high rates of box moving with minimal set up or training for both multi-SKU and single-SKU pallets. This video shows the progression of increasingly complex gait strategies from ATRIAS through recent results with Cassie. Specifically, Cassie’s controller now includes planned footstep placements in addition to dynamic balancing, allowing access to substantially more complicated terrains. Here are the findings of the preliminary investigation of #Beresheet’s landing maneuver: It appears that during the landing process a command was entered that led to a chain reaction, which caused the main engine to switch off and prevented it from being reactivated. The teams of #SpaceIL and Israel Aerospace Industries (IAI) will continue to investigate what occurred during the mission. In the coming weeks, the final results of the investigation will be released. ** SpaceIL member participated in an Ask Me Anything session on reddit this week: Hi, my name is Ben Nathaniel, I work on the team of Beresheet, the spacecraft that Israel sent to the Moon on April 11 (as you may know the landing didn’t go so well). Ask Me Anything. – space/reddit.com. The Arch Lunar Library contains 100GB, or 30 million pages of text and pictures, literally embedded in 25 nickel disks in the tiniest type you can possibly imagine. You don’t need anything more specialized than a microscope to read it, and the etchings should survive for billions of years. This library was supposed to be delivered to the surface of the moon — specifically, the Sea of Serenity — by Israel’s Beresheet Mission last week. The bad news: After a glitch that turned its engine off and on again at the worst possible moment, the Beresheet lander smashed into the moon at 300 miles per hour. The good news: Those disks were designed to be indestructible. And the Arch Foundation is all but certain its payload survived the crash. will deliver about 7,600 pounds of science, supplies and hardware to the orbital residents. Flight Engineer Anne McClain, with astronaut David Saint-Jacques backing her up, will command the Canadarm2 robotic arm to reach out and capture Cygnus Friday about 5:30 a.m. [EDT]. NASA TV will webcast the launch. … a good half of these startups (7 out of 11) are also developing liquid propulsion. This is partly due to the intrinsic performance, but also the possibility to be reusable (although solid systems can sometimes also be refurbished, such as the Space Shuttle SRBs). Reusability actually seems to be one of the dominant reasons, as nearly all liquid propulsion rockets are being developed with a reusable design, often based on the return of the first stage through retropropulsive landing. It is striking to see the extent of the consensus around SpaceX’s business model within the Chinese private sector, while heated debates in Europe and Russia still take place on its sustainability. “Over the weekend, due to rough sea conditions, SpaceX’s recovery team was unable to secure the center core booster for its return trip to Port Canaveral,” said James Gleeson, a SpaceX spokesperson. “As conditions worsened with eight to ten foot swells, the booster began to shift and ultimately was unable to remain upright. Elon Musk later tweeted that the “Engines seem ok, pending inspection”. There are reports that the rocket is lying horizontal on the platform so we’ll see the level damage when the platform returns to Port Canaveral. Though the vehicle is unlikely to fly again, having the core will be useful to SpaceX to examine to better understand the wear and tear that it endured during the flight. Also, perhaps some components like the engines can be reused. **** Cargo Dragon flight to the ISS set to launch on April 26th from Cape Canaveral at 5:55 am EDT (0955 GMT). This will be the 17th operational Dragon mission to the ISS. 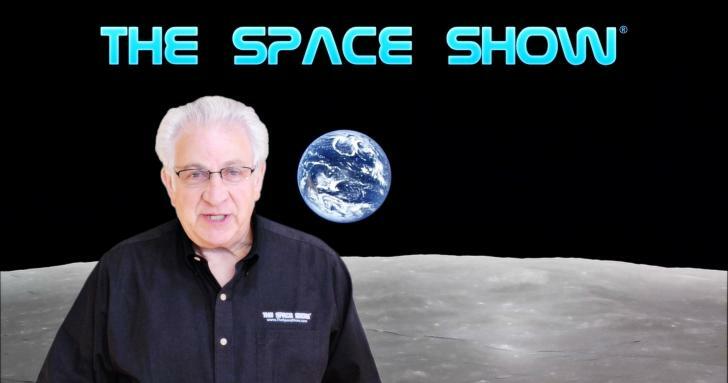 ** The Space Show – Tue, 04/09/2019 – Dr. Mike Gruntman gave a “historical analysis of Tyuratam Missile Range to the Baikonur Cosmodrome, aerospace education, returning to the Moon, inspiration, Elon Musk, SpaceX, Jeff Bezos and much more”. ** The Space Show – Fri, 04/12/2019 – Kim Holder talked about “Moonwards.com news and update. Returning to the Moon, the Moon as a virtual world and more”. The Los Angeles celebration of Yuri’s Night came six days early this year. It attracted hundreds of space party animals, along with celebrities like Bill Nye and Story Musgrave. Host Mat Kaplan talked with both under the wing of space shuttle Endeavour. Jason Davis is counting down to Space IL’s attempt to soft land Beresheet on the Moon. “Where We Are” is a great new visual feature of the Planetary Society. Emily Lakdawalla introduces us to it. There’s a lot to see in the night sky! Get a What’s Up preview from Bruce Betts. In a giant leap for Virginia Tech, the first satellite built by undergraduate students is scheduled to be launched into space on April 17, 2019. One small step closer to reaching space, a group of Virginia Tech undergraduate students recently delivered their small satellite to Houston to be incorporated into NanoRacks’ commercially developed CubeSat deployer. Virginia Tech’s satellite, along with two satellites from other Virginia universities, is scheduled to launch on the payload section of Northrop Grumman’s Antares rocket and then will be headed to the International Space Station. If the weather is clear, the Antares launch will visible over a large East Coast area: Rocket launch from Wallops Flight Facility to be visible from Hampton Roads, NE North Carolina | WTKR.com. Back in January we started crowdfunding on the Patreon platform and by the end of November the amount of donations has reached more than $1,100 per month. This amount has increased particularly after the aforementioned article in Quartz magazine. Moreover, since November we have a donor-organization in the Kyrgyz space program — the Internews organization will donate sufficient amount of money that will cover expenses on building, testing and launching two (!) nanosatellites. This does not mean that we no longer need patrons — there are quite a few unforeseen crazy ideas (for example, to test a prototype of the satellite in the mountains of the Issyk-Kul region), the costs of which are not included in the Internews grant, but are necessary to make the satellite launch happen. a novel imaging system for the engineering technology demonstration with the potential to provide virtual reality-ready images. This imagin system has future applications in the Earth observation and space exploration. Stratolaunch Systems Corporation, founded by Paul G. Allen, today successfully completed the first flight of the world’s largest all-composite aircraft, the Stratolaunch. With a dual fuselage design and wingspan greater than the length of an American football field, the Stratolaunch aircraft took flight at 0658 PDT from the Mojave Air &amp; Space Port. Achieving a maximum speed of 189 miles per hour, the plane flew for 2.5 hours over the Mojave Desert at altitudes up to 17,000 feet. As part of the initial flight, the pilots evaluated aircraft performance and handling qualities before landing successfully back at the Mojave Air and Space Port. Following the death of Paul Allen, the company canceled plans to build rocket vehicles for the aircraft launch platform. Currently the only rocket that is nominally compatible for launch from the aircraft is the very expensive Northrop Grumman Pegasus. So it’s unclear what is ahead for the company and the largest aircraft ever flown. In a short press call, @Stratolaunch executives say the flight went very well. Alt of 17,000 feet, max speed of 189 mph. But not a word on the future of the company in the wake of Paul Allen’s death. And they refused to take any questions. Which is not a good sign. See also Roc – the world’s largest plane – takes flight ahead of Stratolaunch rocket goals – NASASpaceFlight.com. The first MOMO test in 2017 flew for about a minute before a break in the telemetry communications connection caused a premature shutdown of the engine. On the second test in 2018, the engine shutoff shortly after liftoff and the rocket fell back to the pad and exploded. See also SpaceX retrieves Falcon Heavy fairings from sea for reuse on future launch – Spaceflight Now. NASA’s first planetary defense mission, the Double Asteroid Redirection Test (DART), has been slated for a June 2021 launch aboard a SpaceX Falcon 9 rocket from Vandenberg Air Force Base, California. The mission, led by the Johns Hopkins University Applied Physics Laboratory (APL) in Laurel, Maryland, will be the first to demonstrate the kinetic impactor technique, which involves slamming a spacecraft into an asteroid at high speed to shift it off course. DART will target the smaller of the two objects that make up the binary asteroid Didymos, which will be about 7 million miles (11 million kilometers) from Earth at the time of impact, scheduled for October 2022. The always energetic and information powerhouse Dr. Kirby Runyon joins us to talk about New Horizons, Yuris Night and announces the Johns Hopkins University Applied Physics Lab Interstellar Probe. It’s a really fun and exciting interview, and we had a bit of stuff we missed in After Dark so we left a bit of that in there at the end as well. ** A space news report: RocketLab announces Photon, ISS Spacewalks and the weight of the galaxy! This week in Space News from TMRO we have: Rocket Lab announces their Photon satellite system US Spacewalk 53, Space Suit Mixup Milky Way Weight There were 2 Soyuz launches in Space Traffic and of course the Space Weather Woman Dr. Tamitha Skov brings is our Space Weather. During their time on the International Space Station many astronauts have the opportunity to participate in spacewalks, also known as Extravehicular Activities (EVA). These spacewalks play a critical role in keeping the station functional as it travels approximately 17,500 miles per hour 250 miles above the Earth’s surface. In this episode, Expedition 55/56 Flight Engineer Ricky Arnold talks about the extensive training needed for spacewalks on the ground prior to a mission on the space station, and how it helps prepare astronauts for spacewalks outside of the station in low-Earth orbit. Visit https://nasa.gov/stemonstation for more educational resources that explore the research and technology of the International Space Station. A Northrop Grumman Cygnus spacecraft scheduled to liftoff no earlier than April 17 will carry supplies and scientific experiments to the International Space Station. For this mission, Northrop Grumman will use a new late load capability that allows time-sensitive experiments to be loaded just 24 hours before liftoff. SpaceX this afternoon launched a Falcon Heavy rocket with the Arabsat-6A communications satellite from Cape Kennedy Space Center. This was the second launch of a FH but this time all 3 cores of the FH were the most up-to-date Block 5 versions. And all 3 boosters successfully landed. The 2 side boosters landed back on pads at Cape Canaveral while the center landed on a floating platform at sea. Contact was later made with the satellite after the deployment. The power of the FH sent the satellite into a long ellipse with an apogee of 90,000 km (55,500 mi) beyond Earth. The satellite will fire its on-board engine to circularize the orbit and bring it to its assigned slot in geostationary orbit (35,786 km above the equator). The initial extra high orbit will reduce the amount of fuel that the satellite needs to reach its spot as compared to a launch with, say, a Falcon 9 rocket. This extra fuel will give the satellite a few more years of operation since it needs to occasionally fire the engine to maintain its position. Update 3:30 pm EDT: Unfortunately, Beresheet failed to make a soft landing. The descent was going as planned but then the main engine cut off and could not be restarted before it was too late. The good news is that a low-cost privately funded and designed lunar project successfully for the first time reached the Moon’s surface after successfully going into lunar orbit, also a first for a private project. 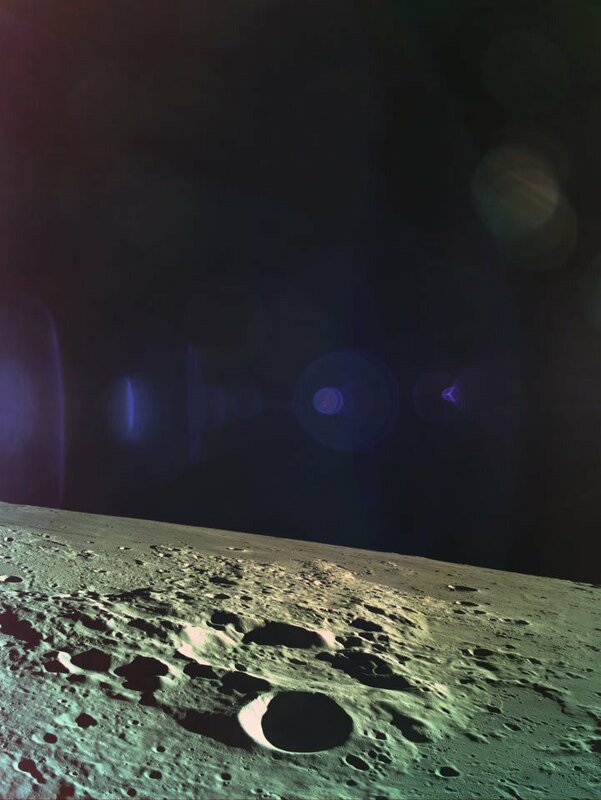 Today Israel’s SpaceIL team plans to send the Beresheet (which translates to “genesis” or “in the beginning”) spacecraft from its orbit around the Moon down to the surface for a soft (we hope) landing. The de-orbit operation will start at 22:05 Israeli time (UTC+03:00) or 04:05 in Tokyo, 05:05 in Sydney,12:05 in Los Angeles, 14:05 in Mexico City, 15:05 in New York, 16:05 in Rio, 20:05 in London, 21:05 in Paris. The landing should happen about 20 minutes later. Updates are available at Israel To The Moon (@TeamSpaceIL) | Twitter. Next Big Future hosts the latest Carnival of Space. Possible methane release mechanisms on Mars.